The RS-232C Serial Adapter installs into the printer's PCI-based, internal port. 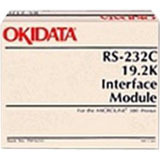 It supports a standard RS-232C interface using a 25-pin D-shell female connector. 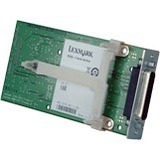 For use with Lexmark printers that contain an open slot.